PDF file of 250 pages divided by Nekuda and skill. 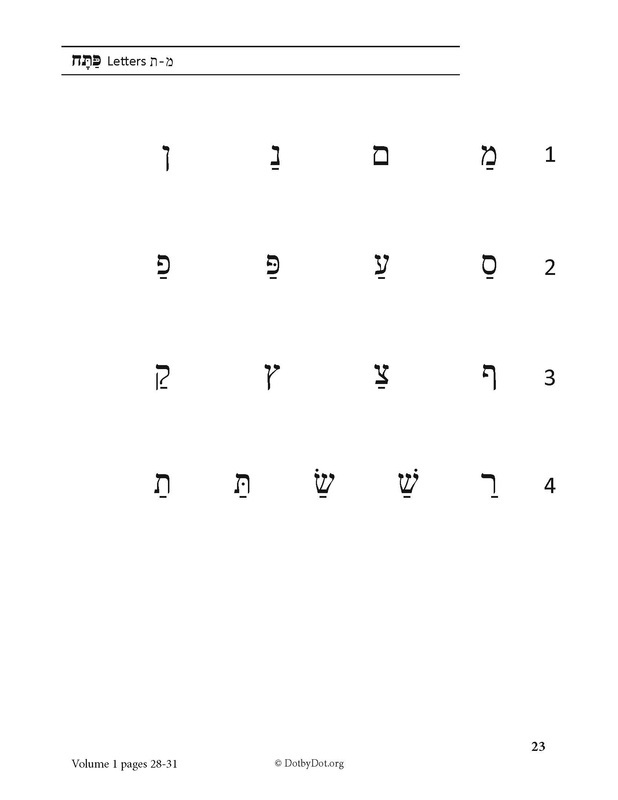 All words are Hebrew words from Tanach or modern day Hebrew. All pages are black and white. The DotbyDot Reader is an accompaniment to the DotbyDot workbooks. 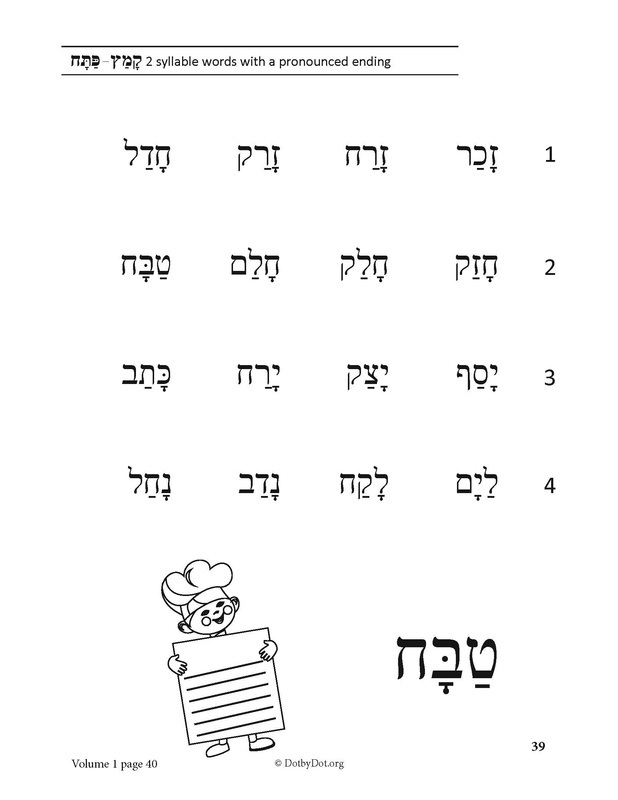 The Reader covers each Nekuda and skill in the same order as the workbooks. Each page is designed with a clear format for easy reading. One word is illustrated on each page, emphasizing the meaning behind a word. 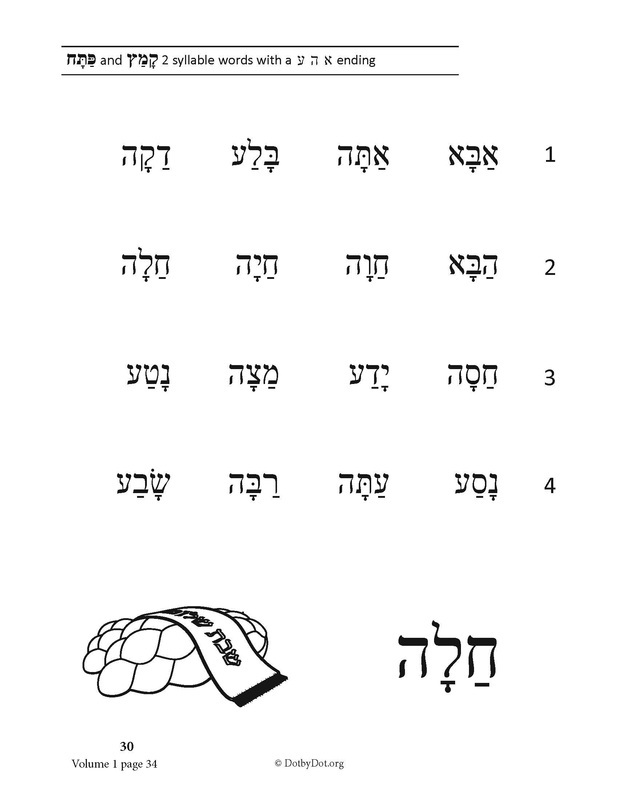 Children will gain new vocabulary words as they practice Kriah! Buying the PDF File entitles the owner to as many copies as they need for their personal / school use only. A customized footer will be added to each page with your Mosad's name on it.